Older consumers may Value Price on quality, but the younger generations are increasingly willing to pay a premium for high-end products. Since China began its “policy of reform and opening” in 1978, its economy has expanded rapidly, and most major retailers and international manufacturers have entered the Chinese market. Some foreign companies are reluctant to enter the market, however, because they do not understand Chinese consumers and their buying habits. Despite the rapid economic growth of the country, parts of China have developed at different rates, and consumption trends vary greatly between different groups and regions. Understand the preferences and attitudes of consumer groups is the key to successfully growing a retail business in China. Over the past three decades, the buying habits of Chinese consumers have changed dramatically as revenues increased and new products and concepts have entered the China market. Consumer habits continue to evolve today and the generations of consumers examination may reveal some buying trends. Planet Retail found that the older generation generally maintains spending habits “traditional” middle-aged Chinese oscillates between tradition and new trends, and the younger generation is becoming more westernized and quality conscious. Generally, Chinese consumers to develop shopping habits in their youth and keep these habits into adulthood. Although increased wealth can change some preferences, such as preferences for drinks and snack foods, habits of most Chinese consumers are identified by their objective living conditions and limited gains. The population of China’s current consumption can be separated into several groups with distinctive characteristics. These consumers, who grew up during the Cultural Revolution (1966-1976) and the early stage of the reform period, balance between tradition and new trends. They work in various low-income state enterprises, private and foreign capital and win. These consumers usually save much of their earnings to take care of their children and parents. These consumers share the same origin as the forties frugal, but they work for the government or large public enterprises and have slightly higher incomes. Although they are also raising children and caring for their parents, they are willing to pay premiums for quality products. In the next decade, consumers in their forties have fewer responsibilities and childcare costs. These consumers will therefore increase spending on entertainment, groceries, travel, and high quality and health care products. Born before 1960, most of these Chinese consumers have grown up in difficult political and economic times, has not received systematic education, and worked in companies belonging to the state. The difficult environment in their lives soon these individuals frugal and sensitive to changes in the prices of consumer goods. This group experienced similar difficulties retirees efficient consumers but pensioners wealthy individuals mainly worked in government and government-sponsored enterprises that provided higher wages and better pensions. Although many of these consumers are frugal, they are less price-sensitive and often the quality more than the cost value. In the next 5-10 years, the spending habits of Chinese consumers who are aged over 50 will change slightly. These consumers will increase spending on groceries the government to increase pensions in line with inflation. Although they will consume health and entertainment products, their children are likely to buy those products for them. The new generation of consumers (under 20) is the most westernized and open to new products. These consumers pursue individualism and often use the Internet to track global trends. Although most of this group do not earn income, they greatly influence the decisions of their parents about the food, clothing, electronics, and other purchases. Social media is an effective marketing tool to reach this group of consumers (see the CBR, January-March 2011, social media in China: the same but different). Migrant workers (usually 25-45 years) are rural residents who have moved to cities for jobs starting in the 1990s, they can be even more frugal than older consumers buy only the necessities and save the money to send remittances to their families in rural areas. Many migrant workers are expected to see a strong increase in revenues and move their families to the cities in the future. They will increase significantly expenditure on groceries once they receive the inscription of the city of household, or hukou, status and fully integrate into the life of the city. The migrant workers’ consumption levels are unlikely to match that of their urban counterparts, however. Many consumers in this group are well educated and have grown up in a more open environment than their parents. Compared to the older generations, the Chinese in their thirties save less, spend more on entertainment, and an online store often. They also continuing value and quality rather than low prices. These people will become the largest consumer in the next decade, the purchase of their parents, children, and themselves. Consumers in first generation of the child policy have opposed their parents buying habits. These consumers barely save and spend most of their income on entertainment, advanced electronics, and other fashionable products. They often shop online and are looking for products that help distinguish their personalities. They can also be impulsive buyers. As consumers in their twenties age and start new families, their shopping habits can become a little more conservative, but they will always favor high quality and practical products and spend more on groceries than previous generations. There are more than 1 million Chinese with assets of over $ 1.5 million and the number is rapidly increasing. Rich consumers (usually 20-60 years) are fairly concentrated in large urban areas, with Beijing, Guangdong and Shanghai housing about half of this group. These people are successful entrepreneurs, executives and business owners. They pursue the best available products, especially imports, and are the perfect candidates for marketing new products. Upscale supermarkets have already emerged in China to provide high quality rich consumer products (see Choosing the right retail format). Rising incomes and the younger generation becomes the main body of consumers, the Chinese will gradually turn to buy the basic necessities only to major modes of comfortable living, high quality. Planet Retail expects the following categories of consumer products to expand rapidly in the next 5-10 years. The younger generation of parents is more willing than older generations to pay for toys. New parents tend to buy Western brands for their children because they perceive these toys to be sure that Chinese. The younger generation spends a lot less cooking time than their parents and instead turns to restaurants and convenience foods, such as microwave meals and instant noodles. Many Chinese do not consider the West appetizing convenience foods, but it is generally easier to prepare than Chinese food convenience. Many local businesses are looking how most convenient Chinese food. Many Chinese consumers own animals-most cats and dogs, but some spend money on pet products, such as food and toys. Instead, they do these things at home. The new generation, however, is richer and has less time to make products “do-it-yourself”. As this generation ages, the consumption of pet products will increase. Personal care consumer products in China is still low, but that market has great growth potential. For example, most Chinese men do not wear cologne and buy shampoo without conditioner Chinese. As incomes increase, Chinese consumers will be able to offer products, especially non-essential cosmetic personal care and personal care products for men. Wine and whiskey broke the traditional alcohol preference in China, as the younger generation is looking for alternatives to traditional strong spirits such as baijiu (see opportunities in the alcoholic drinks market in China). Rich consumers often post their status by drinking high quality wine while low-income consumers drink local beer. Although traditional alcoholic beverages will still dominate the Chinese market in most places, big cities and their young wealthy consumers will contribute to a rapid increase in wine and whiskey sales. The young generation will spend more than their parents on snacks for themselves and their children. Traditional Chinese snacks like roasted sunflower seeds and dried sweet potatoes, are usually made by small local factories. But food crises and safety of newer products have prompted some Chinese consumers to see the food products manufactured by these plants as dangerous or unclean. The market for Western snacks such as chocolate products and potato chips will increase as younger consumers think these snacks more that Chinese Traditional (see Chocolate Fortunes). Although the food and health are still generally expensive, Chinese consumers are more attentive than ever to their health. Most elderly low-income Chinese consumers are turning to natural solutions and Chinese medicine herbal while younger consumers and richer often turn to Western products, which are usually pre-prepared . Older generations have raised their babies with self-provided products such as cotton layers and generations of food but young babies home will depend on disposable diapers and baby food canned. New parents and grandparents hope to buy the best products for their children, particularly because of recent problems of food security. For example, after the incident of milk contaminated with melamine Sanlu Group in 2008, most of the parents surveyed said they are more local trusted brands of infant formula and buy imported brands if they can afford it . In addition, many new parents are turning to baby western products because the variety of traditional Chinese baby products are limited. Many young parents are already buying baby products online from US and European producers. Possession of a personal car in China is still low but increasing rapidly. Many Chinese consumers can not afford expensive cars, but they will spend money on products such as coussins-, gadgets, and movies-tinted windows to improve the appearance of their cars. In addition, short car trips are gaining popularity as many Chinese drive out of town on the weekends for picnics, hiking and other recreational activities. Consequently, consumption of related products, such as disposable silverware and convenience foods will also increase. Nowhere is this broad desire to spend more evident than in the market for luxury goods. Overall, the Chinese are the biggest buyers of expensive items, representing some 29% of purchases last year (see Chart 2). About two thirds of Chinese spending on luxury goods takes place outside the continent; a fifth thereof in Europe. (Harrods of London has seen sales to Chinese buyers, its largest foreign contingent increase of 50% annually since 2011.) consistently favored brands include Lancome, Gucci, Audi, Rolex and Tiffany. The Chinese are also the world’s largest consumers of Bordeaux and Cognac wine, if sales (like those of Moutai, local grain alcohol) fell in the wake of official campaigns against gifts (see article). In the bonded wine warehouse Berry Brothers & Rudd in Basingstoke, in southern England, where 4.5 million bottles are stored costly, 1m of these are held by oenophiles of the great China. Either, said the president of the company, the Chinese should be represented ruin wine Coca-Cola pouring into it. Although the government’s crackdown on corruption has crimped sales of the continent, and some luxury companies slowed the deployment of new stores there last year, Coach, Prada and Bottega Veneta continued to grow. Apple has expanded too; it now has more stores in Shanghai in San Francisco, and introduces new iPhones in Beijing when he does California. Mr. Button SmithStreet think brands offering affordable luxury Michael Kors and Kate Spade, says can capture both the mobile and upward elites “post-luxury” in the cities, who want less flashy brands. In the past, the Chinese have shown little interest in Western art. This is beginning to change, and can quickly change with the opening of a new museum of western art in Shanghai. The richest man in China has just paid $ 28 million for a Picasso, but it was condemned as “unpatriotic” on Sina Weibo. Ms. Potter also notes that two-thirds of affluent consumers are eager to know the history and the cultural context of foreign brands. So they like to buy Piaget watches in Geneva and Zegna suits in Milan, but reject the bid as unconventional German watches or bags of Japanese leather. In the next 5-10 years, the population of the elderly in China will reach 250 million, almost the entire population of the United States (see CBR April to June 2011, China Can Be aging a Rising China?). Although the revenue from these older consumers will not increase significantly, their children will care for and buy the food and health care products for the elderly. Due to the strong consumer demand for low prices, many retailers in China stocks cheap products and have little space for mid-range or high-end items. Although retailers have attempted to fill the gap with private labels, some did so successfully. Consumers are concerned about the safety of cheap goods and are willing to pay a little more for safe food, but many buyers think that private brands and other mid-range products, they tried not worth high prices, according to a 2009 China chain store and franchise inquiry Association. Retailers must use effective marketing, price accuracy and consistent quality to establish trust between consumers and sell more items at higher price. Interior once dull and Mao adapted from China are not that far behind. In Mianyang, poor city in Sichuan Province, a huge sign with Miranda Kerr, an Australian supermodel, draped in Swarovski crystals welcomes guests from Parkson Shopping Centre. It is one of half a dozen shopping malls upscale town. Luxury sales explode it. Local dealers Audi and BMW sell over 100 cars each month; Land Rover, Jaguar and Cadillac just muscled in on the market. Thirty kilometers (20 miles) Luxi, a city of 57,000 people, online shopping is hot. The first express-delivery office opened just three years ago, and handled maybe ten packs a day; Today, five years ago, the treatment of each 100 packages a day. Even at 60 km in the rural Santai County where farm workers are the customers a modern shopping center was born and another is under construction. “Customers are changing very quickly on the low-end market in the middle and high end,” said Yang Shuiying, CEO proud of Zizhou mall. In the 1950s and 1960s, the world economy has been transformed by the emergence of the American consumer. Now, China seems set to become the next superpower consumption. In all likelihood, it just surpassed Japan to become the second largest world consumer economy. Its approximately $ 3.3 trillion in private consumption is about 8% of the world total, and it is just beginning. “The future of the world will be profoundly marked by China’s rush to the consumerism,” says Karl Gerth, an expert on Chinese consumption at the University of California, San Diego. Although the investment has contributed the most to growth in China last year, and although the share of private consumption in production, currently at 36%, dropped between 2000 and 2010, this trend is unlikely to last, for several reasons. First, stimulate people’s desire to consume is a stated objective of China’s leaders. The increase in government spending on health care and pensions can encourage households to save less for such things. Higher interest rates may paradoxically discourage savings if people achieve their savings goals faster. Rising wages and an aging population will also tip the balance toward consumption rather than saving. And while household debt is growing rapidly, China has still relatively few. In addition, consumption has not decreased in absolute terms. It has, indeed, grown strongly, just not as fast as the overall economy. In dollar terms, China has contributed more than any other country in the growth of world consumption in 2011-13, according to Andy Rothman of CLSA, a broker. In addition, China’s official statistics highlight some consumer spending on housing, for example. A massive push to urbanize is also underway, which should produce tens of millions of wealthier citizens seeking retail therapy. McKinsey, a consultancy, expects consumption by Chinese urban households will increase by 10 billion yuan in 2012 to nearly 27 billion yuan in 2022 (see Chart 1). How much China spends is striking. More so is the way it spends. This is now one of the most sophisticated consumer markets in the world, strongly skewed toward expensive goods. Local land barons are now building half of new shopping centers in the world in China, many of them in small towns, because even without great revenues bettors are bigger buyers. That points to another difference from previous consumption booms elsewhere: with the largest e-commerce market in the world at your fingertips, Chinese buyers are from the start line. As a result, what was once the imaginary world of a foreign fierce battle is now marketing the world for brands. Sanford C. Bernstein, a research firm, called “Chinese consumers increasingly ambitious and conspicuous” that routinely exchange up fancy labels even on staples. Newly types of the middle class in the cities of the interior are willing to try new products, especially those they have seen on foreign television broadcasts. Jeff Walters of the Boston Consulting Group (BCG) emphasizes that even louts consume the world media, thanks to the wild popularity of online video services premises. Chinese consumers, he said, watched the last season of “Downton Abbey” on Youku, a video sharing site, long before he was released in America. This passion for fashion is theoretically good news for multinational merchants. Unlike, for example, in Japan, where consumers strongly prefer local brands, Chinese consumers of foreign brands hold in high esteem. Torsten Stocker AT Kearney, a consultancy, notes that foreign brands are doing well in areas they presented to China (chewing gum, chocolate); those remedies “heritage” (high-end cars, luxury goods) and those where local brands are not approved, such as milk powder for baby. Fast food and consumer goods giant Procter-World & Gamble, Pepsi, General Mills and so on-are also high in China, but they are increasingly pursued by local rivals. A recent study by Bain, another board, found that while foreign brands still lead in some areas (biscuits, fabric softener, bottled water), local brands are surging in others (toothpaste, cosmetics , Juice). Brand-hopping, however, is omnipresent. Having grown up with the radical economic change, Chinese buyers are “very fickle and elusive to strong brand loyalty,” says Mintel, a market research firm. Yuval Atsmon of McKinsey estimates that brand-switching between Pepsi and Coca-Cola, Colgate and Crest, KFC and MCDONALD’S-common is “much more than in most markets.” Swarovski, the crystal-maker, found that more than three quarters of Chinese customers are eager to try new brands, a figure much higher than elsewhere. A recent study by Bain found that the top five brands in ten categories have lost 30-60% of their customers between 2011 and 2012. This creates many problems. With two or three times as many brands on the shelves that are found in other countries, competition is fierce. This makes the advertising and vital marketing, but the cost of advertising is booming. In addition, companies that thought they enjoyed a “first-mover advantage” found that their brands are now seen as stodgy or old. Olay, a brand of cosmetics, skin care defined in China for a Potter generation, but Carol BBDO, an advertising agency, believes that “the new generation think it is a mark of yesterday.” She adds that, while Louis Vuitton in china once symbolized good and expensive taste in China, a new generation to the different research, subtle luxury. Another complication for traders is that many Chinese buyers have a global perspective. When previous middle class rose to prominence in America and Japan, the Internet did not exist. The people could not Google the latest European fashions or see discounts on Amazon. The arrival of the Travel Cheap air also made the most demanding Chinese buyers. Mr. Stocker argues that these factors “tablet in the discovery process,” which Japan took 30 years to less than ten. The Chinese are already the world’s largest buyers abroad, but a report released Jan. 20 by CLSA expects the number of Chinese outbound tourists will double to 200 a year by 2020 and that their spending will triple over this period. James SmithStreet button, a consultancy, says a well-established piece of the label: “You have to let friends know when you go abroad,” and take an empty suitcase. Many Chinese also use online sales agents, which include applications and bring foreign products. Sales by buying agents overseas came to nearly 50 billion yuan in 2012, an increase of over 80% over the previous year; they jumped by half of last year to 74.4 times. billion yuan. Foreign sites, including Amazon, now offer direct delivery to China of certain products, and local e-commerce giants such as Alibaba execute cross-border services. Buy abroad saves money, since margins and heavy taxes are the rule in China. Many ordinary people not travel just to Hong Kong, the most convenient place, but at Jeju Island in South Korea (where they can visit without a visa and a duty free shop) to supply cosmetics that cost much more at home. Price, however, is not the only motivation. Another is to avoid counterfeit products so common on the continent. More importantly, consumers say, is the variety and freshness of the products available abroad. 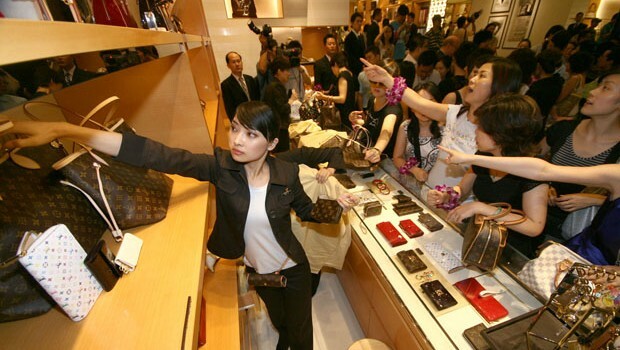 It is not only in the luxury goods that Chinese buyers are leading the way. China has become the largest e-commerce market in the world, with spending expected to reach $ 540 billion next year. On Singles Day, an annual show online marketing took place on November 11, Chinese 400m spent $ 5.7 billion just on Tmall, an e-commerce platform operated by Alibaba; Americans, on their Cyber ​​Monday a few weeks later, spent only about $ 2 billion. China is the largest manufacturer and consumer of smartphones in the world, and will soon be the largest market “mobile commerce”, too. Perhaps because they are wary of official information, the Chinese rely heavily on peer reviews. Research by BCG showed they write, and act on, online reviews of products and much more than Westerners services. A recent study of moisturizer purchases found that two thirds of Chinese buyers relied on recommendations online by friends or family; the comparable figure in America was less than 40%. Millions of online shoppers follow the thoughts and MiuMiu Viviandan, industrial Chongqing long legs twins, who began publishing photographs of themselves in the latest fashions, with ironic comments on trends and prices , a decade ago. With a selection of strips of leather and elegant metal, the watch starts to Apple $ 350 and goes all the way up to $ 17,000. The Apple Watch is far from perfect, and from $ 350 and go all the way up to $ 17,000, it is not expensive. Although it seems smart enough, with a selection of leather and elegant metal bands that make for a strong departure of most portable devices, the watch Apple works like a first generation device, with all the limitations and defects you expect from the brand-new technology. Moreover, unlike previous revolutionary Apple products, the software of the watch requires a learning curve that can deter some people. There is a good chance it will not work perfectly for most consumers right out of the box because it is the best after tinkering with different software settings to customize use. Indeed, to an unusual degree for a new Apple device, the watch is not suitable for tech novices. It is designed for people who are inundated with notifications coming through their phones, and for those who care to think, and want to try to manage the way the digital world intrudes on their lives. Yet even if it is not for everyone, Apple is onto something with the device. The watch is just useful enough to show that the fixing of the technology industry on computers that people can wear may soon pay off. In this way, using the Apple Watch last week reminded me using the first iPhone. First Apple smartphone was revolutionary not only because he has done what few other phones can do, but also because it showed off the possibilities of a connected laptop. Like the iPhone and its imitators have become more powerful and ubiquitous, mobile computer has become the basis of a wide range of powerful new high-tech applications, messaging mount the share of payments. Similarly, the most exciting thing about Watch Apple is not the machine itself, but the new technology perspectives that can be opened by the first consumer notebook. On-body aircraft have obvious uses in health care and payments. As Tim Bajarin tech analyst wrote, Apple seems to also push a vision of the watch as a versatile remote control for the real world, almost bionic way to open your hotel room, board a plane call a Uber or otherwise have the physical world to meet your desires almost automatically. The watch also features a design of a completely different software smartphone. Although it has a set of applications, interactions are more driven by the notifications received and a summary for some applications, known as looks. But because there is not much room on the screen of the watch for visual cues indicating where you are – in an application, notification or a look – in the early days, you find often lost, and something that works in one place will not work in another. Find nirvana with the watch is to adjust your notification settings on your phone so that your wrist is not constantly buzz of information that has no meaning on the Watch – like Facebook status updates, messages from Snapchat or every email about the brownies in the office kitchen. Apple notification settings have long been unduly laborious; fight while your hand is buzzing off the hook is an extra level of discomfort. These circumstances indicate that the watch can push us to new heights of collective narcissism. Yet in my week with the device, I am intrigued by the possibility contrary – it might answer some of social anxiety brought about by smartphones. Most ingenious feature of the watch is Apple’s “taptic engine”, which alerts you to various digital notifications silently typing one of several different models on your wrist. As you learn the taps over time, you will start to save some of them almost unconsciously: calls and incoming phone alarms feel throbbing and insistent, text feels like a gentle massage with a friendly bumblebee, and a calendar appointment coming is like the persistent plucking of a harp. After a few days, I began to get digital world of bits of information without having to look at the screen – or, if I was watching, I looked for a few seconds rather than minutes. If such body-on messaging systems become more ubiquitous, mobile devices can become more than just a flashy accessory phone. The Apple Watch could pave the way for a transformation of social norms as profound as those we saw with his brother, the smartphone – except, surprisingly, in the opposite direction. For now, the dreams are hampered by the harsh realities of a new device. 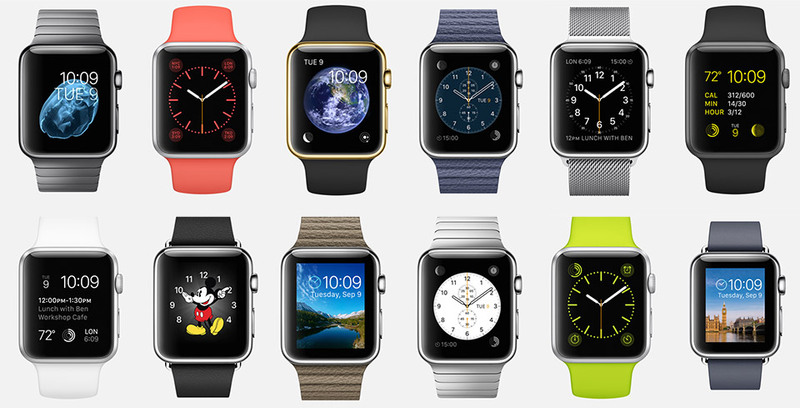 The watch is not an iPhone on your wrist. It has a different set of input mechanisms – there is the digital crown, a button used for scrolling and zoom and a touch screen that can be pressed harder for more options. There is not a full keyboard on the screen, so that outgoing messages are confined to a set of default responses, emoji, and when you talk to other users to view the messages that you can draw or tap. Other problems: third-party applications are mostly useless now. The Uber application was not responsible for me, the Twitter app is confusing and application for Starwood mysteriously deleted and then hung up on loading when I reinstalled. In the end, however, it does allow me to open a room at the W Hotel in Manhattan just by touching the watch face at the door. I also used the show to pay for taxis and the New York groceries at Whole Foods, and presenting my boarding pass to security officers at the airport. When these meetings have worked, they were magical, as having a secret key to unlock the world right on my arm. What is most exciting about Watch Apple, unlike other smartwatches I tried, is the way it invests a user with a general feeling of empowerment. If Google has made any digital agency in the world to our computers and the iPhone has brought us everywhere, watch the digital world built directly into your skin. It takes some getting used to, but once it clicks, this is a power that you can not live without. 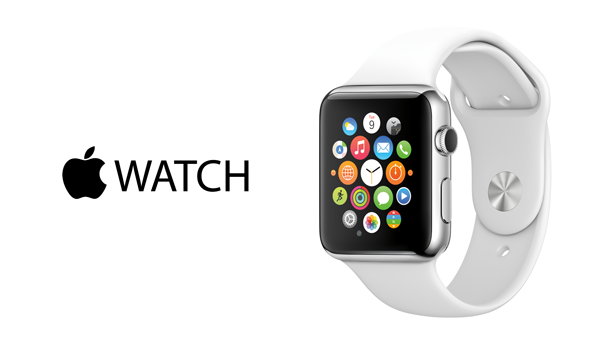 The New York Times reported last week that he had created “stories of a sentence” Watch for Apple, so let me end this review with a note that could fit on the watch screen: The Follow first Apple may not be for you – but one day soon it will change your world. When optimizing a website, most SEO professionals will adapt the content to achieve results on the three major search engines: Google, Yahoo and Bing. But before closing the book on your target engine, consider this: 25% of Internet users are Chinese, but only 16% of Chinese Internet users do their research web via Google, with the vast majority opting instead to Baidu. For those looking for a multilingual SEO and venture into the Chinese market, Baidu will play a central role in how you approach the transition, and to what extent it is. Baidu, the Chinese search engine, was established in 2000 and now provides an index of over 740million web pages. While Baidu is the clear winner in the war of the search engine in China, Google held the number two spot. But that does not mean it was smooth sailing for the United States service; in fact, Google was marred by issues of censorship in the communist country for many years. Because Google handle has on marketing search engine, Baidu remains relatively unknown outside of China. However, if your business operates globally, and a significant proportion of your custom comes from China, you would be crazy not to take note of this service. Optimize your website for China will help to tap into a huge market and could be a starting point for your business running. Here are three steps to optimization for the Chinese market. Another similarity between Google and Baidu is that key phrases are crucial to your search engine marketing campaign. Key phrases are just as important to encourage good rankings but the process is a little more difficult because you are now working with Chinese keyphrases. When looking for a professional translation service, keep in mind that Pinyin is the most convenient for Baidu dialect. The rule “no duplication is nothing new and is something you should get used to your English SEM efforts. Not listening so could get you into trouble with most search engines, but fail to provide unique content for Baidu and you will soon see that they are much less forgiving of this policy than their English counterparts. You can check your security content using a robots.txt file to request indexing. The value of global electronic commerce should exceed $ 1000000000000 next year. With the modernization of Chinese society at an unprecedented rate, rapidly catching up with the US and UK, their ecommerce levels are set to go through the roof in the coming years. But many companies see the issues of language barriers, cultural differences, fierce local competition and the political difficulties in the form of government censorship and strict selection process, as insurmountable block to their ambitions for attract business in China. It is true that doing business in China requires a search marketing strategy completely different from anywhere else in the world, mainly because of a unique online environment which excluded familiar elements of our landscape online such as Facebook, Google, Twitter, Amazon, YouTube, etc. . This helped to develop local websites, use the gaping holes left by the absence of these big hitters. Understanding this radically different online environment is key to success in China. In a world where Tencent, Renren, Youku Tudou and Sina Weibo (among others) Seo Agency, have filled in the various services and niches are usually occupied by Facebook, Twitter and YouTube, a company with no experience in the exploitation of multilingual campaigns involving speakers native would be hopelessly outgunned when it comes to marketing research and compete with local businesses. Something’s essential to consider when planning a marketing campaign in China is that the Chinese government censorship laws are among the strictest in the world. Public ISPs, companies and organizations are determined to block and / or delete content that the Ministry of Industry of the judge false information, negative or dissenting. Despite this, local social networks Chines are immensely popular, and we know that, like Google, Baidu is becoming notice of social signals when deciding SERP rankings. This means that the presence of social network and activity are equally important for campaigns in China as they are here, although the content of the activity should be carefully studied to avoid the wrath of the information ministry . Again, native linguists will prove their worth in this situation, having an almost instinctive knowledge of whether the content will be acceptable and popular or not. In conclusion, China is a difficult market to penetrate, but the potential returns are enormous, particularly given their forecast for growth in the near future. 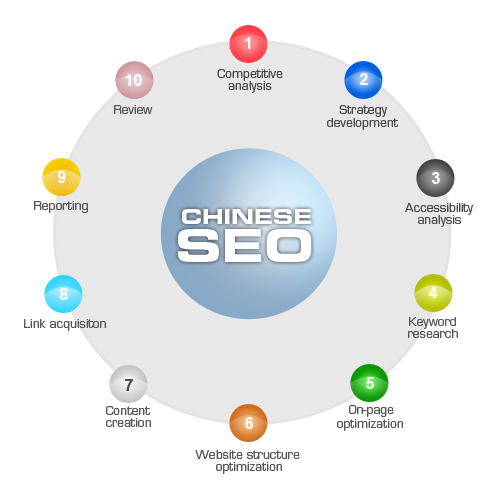 If you decide to try to attract business in China as part of a general campaign overseas or as a concerted effort to specifically target Chinese customers, consult experts in multilingual search marketing using speakers native. As Research Laboratorys white paper to attract world trade underlines, for optimal visibility in a market abroad, relevant algorithms of search engines for ranking must be understood. The preferred search engine in China, Baidu, manages the vast majority of search traffic, so its essential to assess the impact this has on any search marketing campaign in China. To ensure the highest quality of any marketing activity undertaken abroad, native speakers are essential. There is no substitute for a life experience of lingual, cultural and phraseology. When considering the Chinese countryside, native speakers also offer the advantage of knowledge and familiarity with the unique digital landscape in China. An advocacy group that allows Internet users in China branch blocks the content censored that he suffers from a denial-of-service attack disrupt its operations. US subsidized Greatfire.org said the attack started two days ago and the traffic is 2,500 times higher than normal. It affected “mirror”, or duplicate, websites that set up via encoded web services offered by companies like Amazon. Greatfire.org said the attack interfered with site visitors, including Boxun.com, which discloses allegations of corruption and human rights violations in China, German supplier Deutsche Welle, and Google. The statement of a co-founder of the group, who goes by the alias Charlie Smith, said he does not know who is behind the attack, but it coincides with increased pressure on the organization in recent months and public criticism of the Chinese authorities. The Chinese government blocks thousands of websites to avoid what he considers politically sensitive information from reaching Chinese users, a force dubbed the “Great Firewall”. According to Freedom House free expression watchdog, since the end of 2013 Greatfire.org hosted content on areas owned by Amazon and other large companies, that officials can not risk due to censorship their large business presence in China. Smith said that the current denial of service attack that floods mirror sites cost the group up to $ 30,000 per day in bandwidth. Greatfire.org said he is funded from various sources, including individuals and organizations within China. The Fund for Open Technologies, a US government backed initiative to support Internet freedom, says on its website it provided Greatfire.org with $ 114,000 in 2014. Here explained the whole saga. In a post official blog Wednesday, Google said its Chrome browser and other products will not recognize safety certificates issued by the China Internet Information Center (CNNIC),China SEO the authority of the Internet in China. This means that when users try to visit a website via China Google Chrome that is certified by CNNIC, they will be presented with a warning message on the site security. However, users can choose to ignore it and go instead. “To help customers affected by this decision, for a limited time, we will allow existing certificates of CNNIC continue to be marked as trustworthy in Chrome by using a whitelist publicly disclosed,” he Google said on its blog. A security certificate is a digital document used to prove that the domain name of a website does in fact belong to this society which claims to possess. Sometimes, users see a padlock in the corner of the web address bar. This means that communication with the site is secured and encrypted and has been certified by a known Certificate Authority (CA). CNNIC is such an organization dealing with Chinese sites. What’s the problem with Google’s SEO? Last week, Google accused MCS Holding, CA contracted by CNNIC, issuing unauthorized security certificates for multiple Google domains. This led to a security breach where there was a possibility of a so-called attack man-in-the-middle. This is when a hacker intercepts communication between a site and the information is sent to the server. If the digital certificate on a Web site is not authorized, this means that encryption is lax and let the site user who opened their details stolen. 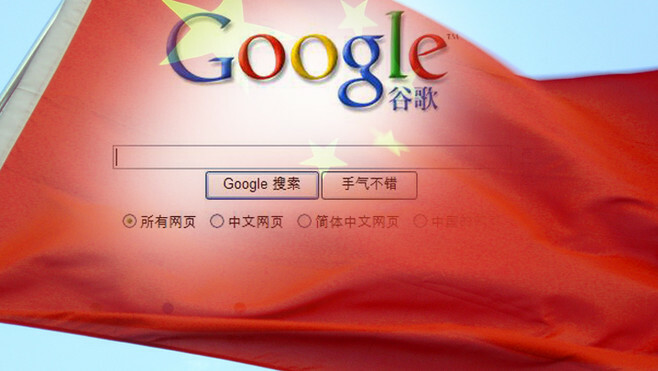 There is no evidence that users of Google’s Chinese operations were affected. MCS Holding argues that the lack of security was a “human error”. The search giant US was conciliatory to CNNIC. “We applaud their proactive CNNIC, and welcome to reapply technical and procedural controls are in place appropriate time,” Google said on its official blog. CNNIC however, criticized the move of Google. “The decision that Google has done is unacceptable and incomprehensible to the CNNIC,” the authority said in a statement on its website. Once Google is pleased that CNNIC has improved its processes, they could reapply for security certificates – which makes these secure sites again. recent reports that China has imposed new restrictions on Gmail, Google’s flagship messaging service, should not really come as a surprise. While Chinese users were unable to access the Gmail site for several years now, they were still able to use much of its functionality, through third-party services such as Outlook or Apple Mail. This gap was closed (albeit temporarily – some of the new restrictions appear to have been mysteriously already up), which means that Chinese users had determined to turn to more advanced circumvention tools. Those who can not or will not perform all these stunts can simply switch to a service managed by a national Chinese company – which is precisely what the Chinese government wants them to do. This short-term and long-term disruptions to Gmail connections are part of the longstanding efforts of China to protect its technological sovereignty by reducing dependence of citizens on US-term communication services. After North Korea saw its blackened internet access temporarily in the interview brouhaha – with little evidence that the country has actually nothing to do with the massive hacking Sony – the concept of technological sovereignty is fast becoming the one of the most important and controversial doctrines 2015. And it’s not just the Chinese: the Russian government is pursuing a similar program. A new law that took effect last summer requires all Internet companies to store the data of Russian citizens on servers inside the country. This has already led Google to close its engineering operations in Moscow. Kremlin’s recent success in getting Facebook to block a page calling for protests in solidarity with the activist Alexey Navalny charged indicates that the government is to restore control over the digital activities of its citizens. But it is hardly a global defeat for Google: the company is still expanding Furthermore, the construction of communications infrastructure that extends well beyond simple messaging services. Thus, as the South American countries were exploring plans to counter the NSA surveillance with a fiber optic network of their own that would reduce their dependence on the US, Google has opened its coffers to finance submarine cable linking $ 60 million Brazil to Florida. The objective was to ensure that Google’s own services work better for users in Brazil, but it is a powerful reminder that free himself from the grip of the American empire of technology requires a multidimensional strategy in line with the fact that Google today is not just a search company and e-mail – it also works on devices, operating systems, and even connectivity itself. Since Russia and China are not known for their commitment to freedom of expression and assembly, it is tempting to see their quest for sovereignty of information as another stab at censorship and control . In fact, although much milder government of Brazil was playing with the idea of ​​forcing American companies to store data of the local user – an idea, he finally gave up – it was widely accused of draconian overreach. However, Russia, China and Brazil are simply the extremely aggressive tactics adopted by none other than the United States. Typically, however, America is completely unaware of his own actions, believing that there is such thing as a neutral and cosmopolitan internet every effort to move away from lead to the “Balkanization”. But for many countries, it is not balkanization of all, simply de-Americanization. US companies have played an ambiguous role in this project. On the one hand, they build an efficient and highly functional infrastructure that locks in other countries, creating long-term dependencies that are very messy and costly to repair. They are the true vehicles for the rest of the agenda of the overall modernization of America. On the other hand, companies can not be regarded as mere agents for the American empire. Especially after Edward Snowden revelations have clearly demonstrated the comfortable alliances between business and the state interests of America, these companies need to constantly assert their independence – occasionally taking their own government to court – even if, in reality, most of their interests are perfectly aligned with those of Washington. However, to grasp the full measure of the hypocrisy of America on the issue of sovereignty of the information, we must look beyond the quarrel going on between Microsoft and the US government. It concerns a part of the mail content – relevant to an investigation – stored on Microsoft servers in Ireland. US prosecutors insist they can get such content from Microsoft simply by serving a term – as if it makes no difference that the email is stored in a foreign country. To get it, Washington would normally need to go through a complicated legal process involving bilateral treaties between the governments involved. But now he wants to avoid completely and process the processing of such data as a purely local issue without international implications. The data resides in cyberspace – and cyberspace knows no borders! In opposing the efforts of other countries to recover a minimum of technological sovereignty, Washington is likely to encounter a problem, it has already met while promoting his nebulous agenda “of Internet freedom”: his actions are more eloquent than his words. Rhetorically, it is very difficult to resist digital surveillance run by the government and online spin in Russia, China or Iran, when the US government probably did more to him than all these countries combined. Whatever motivates the desire of Russia and China to exert more control over their digital properties – and the naive would believe that they are not motivated by concerns over civil unrest – their shares are proportional to the aggressive efforts Washington to exploit the fact that so much of the world’s communication infrastructure is managed by the Silicon Valley. The freedom of the internet One man is the Internet imperialism of another man. The government’s rationale is that the storage is immaterial; what is relevant is where the content is available – and it can be accessed by Microsoft employees in the United States. Microsoft and other technology giants are now fighting the US government in the courts, with little success so far, while the Irish government and a handful of European politicians argue Microsoft. In short, the US government insists that it should have access to data regardless of where it is stored as long as it is handled by American companies. Imagine the outcry if the Chinese government to require access to data that passes through devices manufactured by Chinese companies – Xiaomi, for example, or Lenovo – regardless of whether their users are in London, New York or Tokyo. Note the crucial difference: Russia and China want to be able to access data generated by their citizens on their own soil, while the US wants access to the data generated by anyone anywhere as US companies hold.